Norma June Hans was a loving wife, mother, and grandmother. She lived her life selflessly caring for others and had a strong sense of commitment to her family. She was indeed the backbone of her family in many aspects, from her work at home and within her church community. Known to enjoy watching WWE, Norma had many special interests. Her strong work ethic and her compassionate and supportive nature will be deeply missed by all who knew and loved her. The Roaring Twenties was a period of sustained economic prosperity with a distinctive cultural edge. The automotive industry was booming as was jazz music and the nation was seeing significant industrial growth. With the media focused on sports heroes and movie figures, Alan and Grace (Zylstra) Keely welcomed their own star, a newborn baby girl, Norma on May 21, 1942, in Grand Rapids, Michigan. Born the oldest of the four Keely children, her birth was an exciting time for her loving parents. Her father, a policeman, and her mother, a homemaker, Norma knew and appreciated the value of a hard day’s work at a young age. 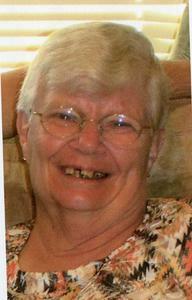 Easy going and carefree, Norma enjoyed many special memories as a child. Her family endured the loss of her younger sister, Judy, at a young age which was a difficult time for each of them, yet made them closer to one another over the years. Typical of the times, Norma left grade school before completing graduation at South High. With a strong desire to pursue her educational gifts, she later went back to school and was proud to earn her GED. The meeting of the man of her dreams, William Hans was worth the wait! The two of them were introduced by a cousin and dated until they joined in marriage in October of 1965 at Homemaker Church in Grand Rapids. Settling down at 816 Crosby, they made their lifetime home together. They shared a traditional marriage where dinner was expected to be on the table before the nighttime news had started. Despite her lack of desire for spending time in the kitchen, Norma fulfilled this responsibility with love. Together they raised three wonderful children; Pete, June, and Mike. They were faithful members of Alpine Christian Reformed Church and instilled in their kids the value of a strong Christian faith! Bill’s work with the City of Grand Rapids Park and Recreation Department provided Norma the opportunity to remain at home to raise the kids. She was very active as a mom and never passed up an opportunity to help out in any way she was needed or attend their special events. As a family, they enjoyed many special memories including trips to the local amusements parks, Cedar Point and King’s Island as well as long weekends in Michigan’s northern regions. Norma savored these vacations to soak up the sun and swim in the beautiful Michigan Lakes. She loved to be outdoors. Sadly, Bill passed away after battling cancer at the age of 46 in 1983. It was a great loss for Norma, yet she remained in their home and continued on with the support of her loving children and family. When the children had grown, Norma found various ways to keep herself busy. She found work at a nearby school as a teacher’s aid as well as a local retirement home where she was known as a favorite among the clients. Norma was always chatting and enjoyed the company of others, so it was a perfect fit for Norma! When it came time to socialize with her peers, she preferred to visit the local VFW to listen to local country singer, Johnny B. She remained an active member there for many years. Luckily, she met Jo Beal who had also lost her husband and the two of them were inseparable! Known to frequent casinos via bus trips together there’s no telling what mischief the two of them could get into! When they weren’t on an adventure of some kind, they enjoyed countless walks together around the neighborhood. Norma also satisfied her gift of gab by attending her daughter in law, Lynn’s family get-togethers. She loved to take the trip up north and surround herself with the people she enjoyed the most as well as give her brothers a hard time! There was never a dull moment when Norma was around! All in all, attending a Whitecaps game with her grandkids made her happiest! Anytime she was around her favorite young people she felt blessed. Equal to Norma enjoying being around people, she also enjoyed many favorite foods! She was never one to pass up a good hamburger and her favorite meal was a pot roast with all the trimmings to get her through the Michigan winters. She also liked her Diet Coke and chips. If she was out of Coke, she’d call up her son in law and ask him to make a Coke run for her! To satisfy her sweet tooth, Norma enjoyed just about any treat yet peanut M & Ms were by far her favorite! Described as feisty, direct, as well as sincere, Norma will be greatly missed by her special friends and family. Her sense of humor and desire to live her life to the fullest measure will be the greatest memories she leaves behind. Known for her resiliency as well as her fierce independence, she modeled a life worth living. Norma Hans, age 76, of Grand Rapids, Michigan passed away on April 7, 2019. She was preceded in death by her husband, William; and son, Mike. Norma is survived by her children, Pete & Lynn Hans and June and Michael Loyd; daughter-in-law, Jenny Hans; 7 grandchildren; 5 great-grandchildren and one expected and close friend of 54 years, Jo Beal. The Funeral Service will be held at 10 AM on Saturday, April 13, 2019, at Heritage Life Story Funeral Homes, 1833 Plainfield Ave NW. Family and friends will gather to share memories from 6-8 PM on Friday at the funeral home. Interment in Washington Park Memorial Gardens. Contributions in her memory may be made to the American Cancer Society. Please visit www.lifestorynet.com to share a memory, photo, or to sign the guestbook online.